iCloud backup storage is the Apple Inc cloud computing service. It was launched on October 12, 2011. As of February 2016, the service was recorded to have emerged over 800 million users. The storage service is included on every iPhone from the iOS 5 till now. 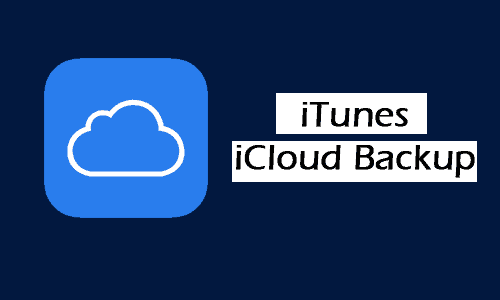 iCloud backup automatically stores up data on your iPhone but it has to be turned on first. Turn it on with the following steps. Firstly, establish a Wi-Fi network for the device. Next, turn on iCloud Backup. And voila you should be able to view the latest backup listed. At first, Apple offers a 5GB taste of the iCloud backup service for free. However, to use up more than 5GB, a monthly fee will be requested depending on the size. There are three packages of 50GB, 300GB and 1TB with monthly charges of $0.99, $2.99 and $9.99 respectively. To backup iPhone data via iTunes, you need a computer with iTunes installed. To store up data on the iCloud backup these are the few steps. Then click on “Backup Up Now” on the Summary page. The main merit of using iTunes is that everything can be backed up using iTunes and can also be restored. 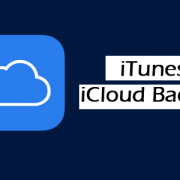 The iCloud backup process of the iPhone backed up to your computer is easier with using iTunes. iCloud back up of photos and videos can take up the free 5GB in no time. To back up more photos, you can back up the most recent 1000 photos in My Photo Stream, and they won’t affect your storage limit. Modern iPhones store up to 128GB so with the 1,000 photos in My Photo Stream and an additional 5GB iCloud storage you can still run out of free storage space.